The Minnesota Historical Society is in the middle of plans to redevelop and revitalize Historic Fort Snelling, including new historical interpretation. Good news: Oȟéyawahe, or Pilot Knob Hill, a sacred Dakota burial site, was placed on the National Register of Historic Places on March 14 by the National Park Service. 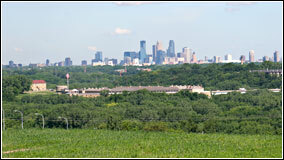 The site is in Mendota Heights on the east bank of the Mississippi River across from Fort Snelling. To white settlers, it was called Pilot Knob, an important landmark for riverboat navigation. The Dakota name for it means “The hill that is much visited.” It was “a burial place, and an important Medicine or Wakan Ceremony grounds,” according to the historic designation application filed by the Pilot Knob Preservation Association. In 2003, the Preservation Alliance of Minnesota called Pilot Knob one of the 10 most endangered historic places in the state. As will be described below, the housing development never happened. 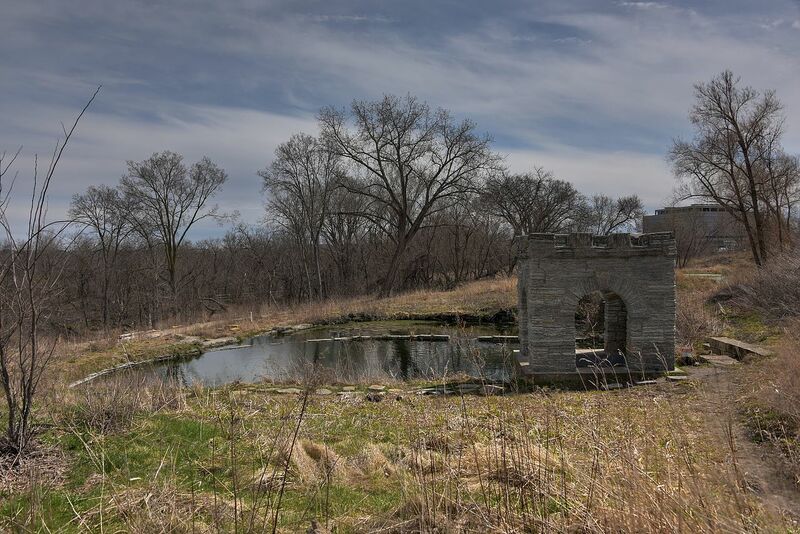 The Minneapolis City Council is expected to pass a resolution this Friday that will declare Oct. 10 Coldwater Springs Protection and Preservation Day. Everyone is invited to attend a pipe ceremony and celebration at Coldwater Springs on Indigenous Peoples Day, Monday, Oct. 10, starting at noon. The resolution was authored by 12th Ward Councilmember Andrew Johnson, whose south Minneapolis district abuts Coldwater Springs, which is in on unincorporated Hennepin County land. The springs are located just east of the intersection of Hiawatha Avenue and the Crosstown Highway. Coldwater Springs is near the confluence of the Mississippi and Minnesota rivers and is sacred to Dakota people, the original people of the area. (The Dakota name for the spring is Mni Owe Sni, which translated means Coldwater Springs.) 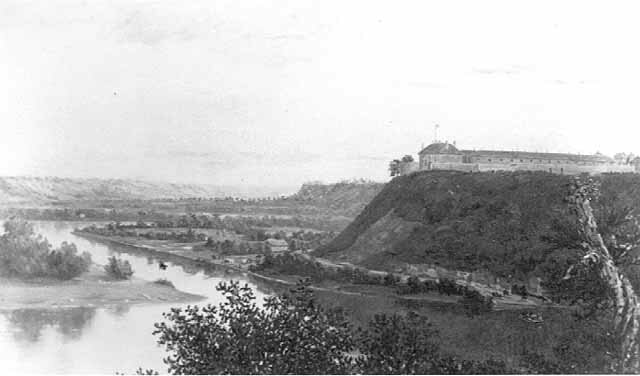 Camp Coldwater also was the first European-American settlement in the Minnesota Territory; the spring furnished water to Fort Snelling. That the City of Minneapolis reminds all government agencies to respect the 1805 treaty and honor both the spirit and the letter of the American Indian Religious Freedom Act of 1978 and the 2001 state law relating to protection and preservation of Coldwater Springs. Click here for the full text of the Coldwater Springs Resolution. Those expected to speak on behalf of the resolution at the Minneapolis City Council meeting Friday include: Sheldon Wolfchild of the Lower Sioux Reservation, Sharon Lennartson, chair of the Mendota Mdewakanton Dakota Tribal Community, and Clyde Bellecourt, a founder of the American Indian Movement. Wolfchild will conduct the pipe ceremony at Coldwater Springs on Monday. Lennartson and Bellecourt are expected to speak, too. Coffee and cookies to follow. Bring family and friends! For more on the First Amendment and treaty issues surrounding Coldwater Springs, read on. July 4, 2016 healingmn Commentary	Fort Snelling, Independence Day, Waziyatawin, What Does Justice Look Like? It should go without saying that Independence Day is anything but for this country’s Native American peoples. I am white, not Native. But the following are the things I hear from Native friends and read in Native publications around July 4. The critiques make sense to me. Franklin Steele provisioned the 1862-63 Dakota Concentration Camp and managed to coerce prisoners to give up valuable land rights. The names of Minnesota’s early political and business leaders dot our landscape. While they often are held up as heroes, some did truly horrific things. Today we look at Franklin Steele, the namesake of Steele County. Steele arrived in the region in the 1837 and is credited with launching the lumber industry, organizing the water resources and building mills. He held the post of “sutler” at Fort Snelling for a time, a plum job selling provisions to the Army. His business dealings and connections grew. 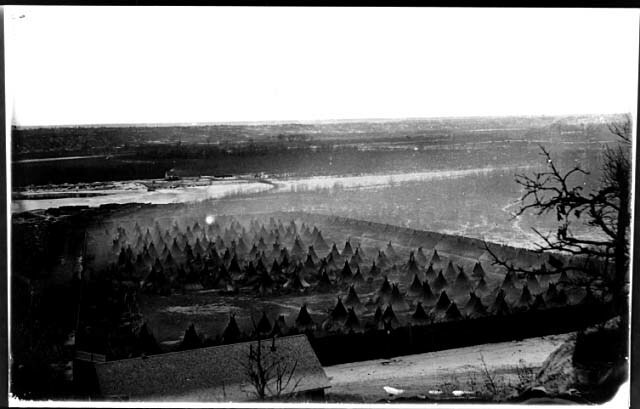 In the aftermath of the Dakota-U.S. War of 1862, Steele got the government contract to provide food to the Dakota prisoners held at the Fort Snelling concentration camp. The conditions were horrible during the winter of 1862-63. Between the cold and disease, hundreds of prisoners died, including young children. One of the horrors at the camp has remained nearly invisible. Some “mixed blood” prisoners held valuable paper “scrip,”a form of land grant promising them up to 640 acres. History does not record how he did it, but Steele connived to get his hands on the scrips at very little if any cost. While prisoners left the camp broken, destitute, and hungry, Steele used the scrips to help build his fortune. The bank that became the backbone of the financial empire of the northwestern United States could trace its initial capital to the inmates of the Fort Snelling prison camp.